Specializing in high school senior photography, fine art family portraits, children’s photography, newborns and infants. Located in Granger IN, we proudly serve photography clients from South Bend, Mishawaka and the shores of southwestern Michigan. At Scott Leonard Studios, we believe in quality. Our studio believes in the longevity of the printed image. From the moment of capture through the tedious editing process, we value the printed image, and believe an image, is worth a thousand words. 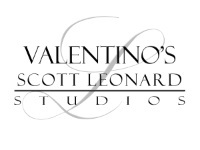 Capture every stage and every age with child photography at Scott Leonard Studios. Phone or Email today for more information.